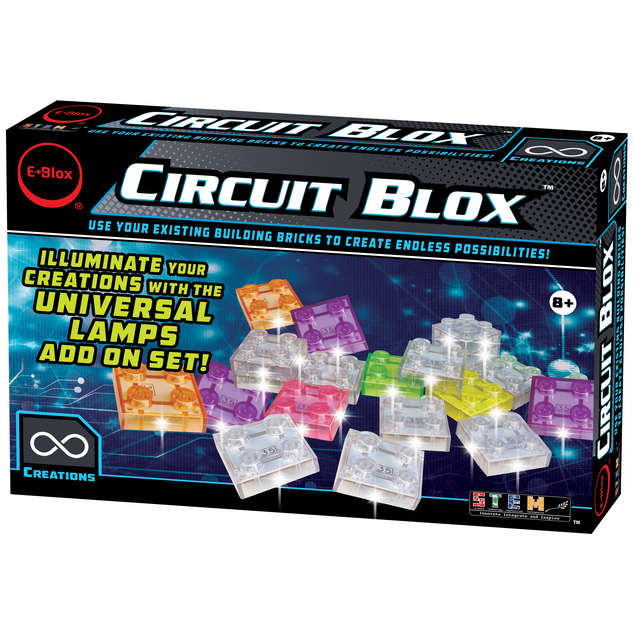 More LED blocks, more fun! Use this add-on set to enhance any Circuit Blox™ Lights set. 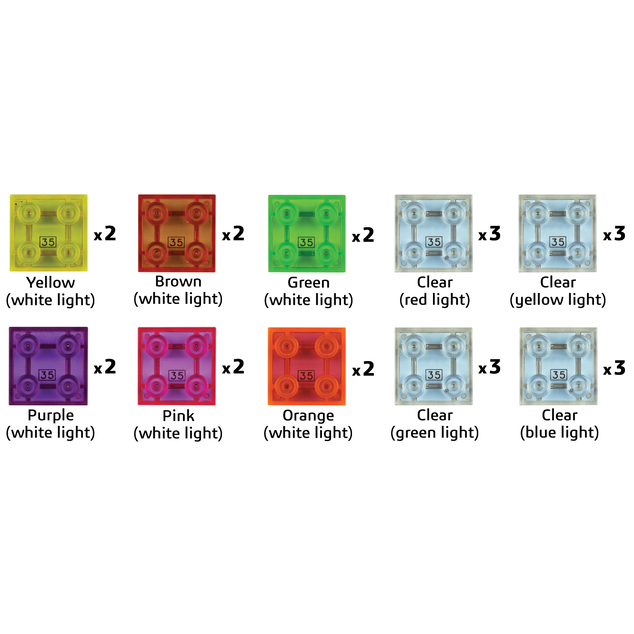 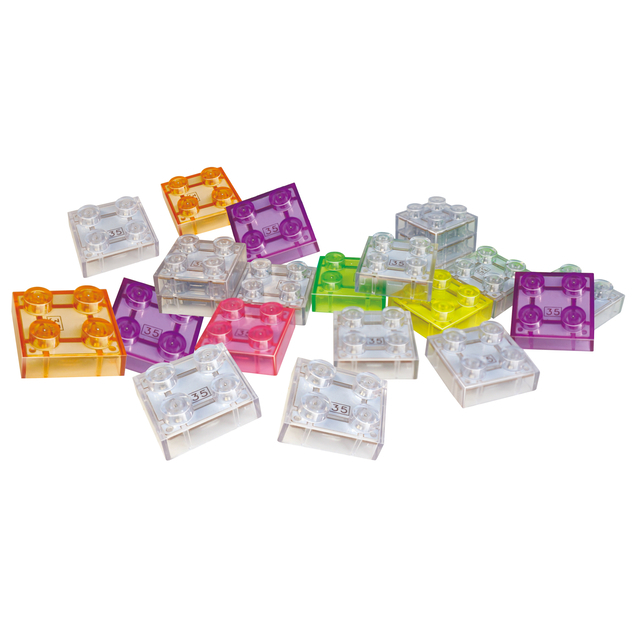 The set includes 24 LED blocks: Two (2) each of Yellow, Brown, Purple, Pink, Green, and Orange casing with white light, and three (3) each of clear casing with red light, green light, blue light, and yellow light. 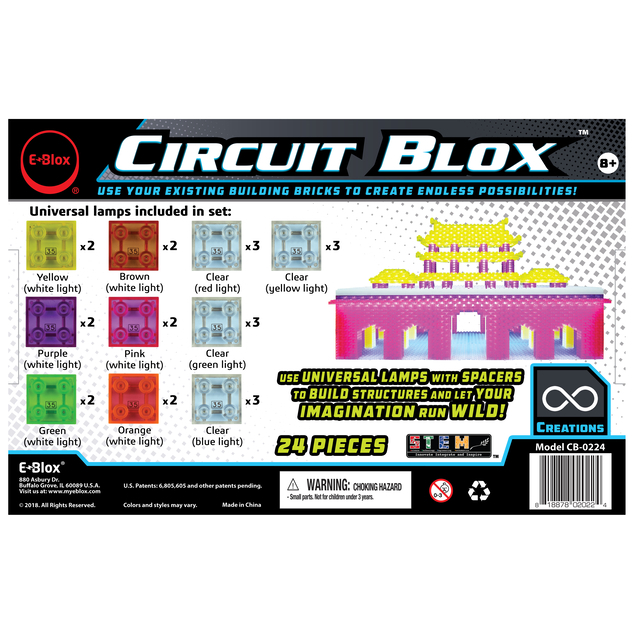 Use the Universal Lamps add-on set with the 48-piece or 96-piece Spacers add-on set to build larger structures and let your imagination run wild!